What is a Lifted Truck and How is it Different than Non Lifted? Whether it’s for form or function, trucks are supposed to be high. If you have any intention of off-roading in Temple or Waco, you should add a good lift kit to your truck. Besides looking good, a quality lift kit offers a number of benefits. Read about available lift kits as well as what differences a lifted truck offers Killeen drivers. If you’re in the market for a truck, visit Stanley Chrysler Dodge Jeep Ram to see the full lineup of quality trucks we offer. Body Lift Kits: Specially made not to change the quality of how your truck rides, a body lift kit is a great option for people who want to go off-road. You get more clearance while retaining factory suspension and alignment. Suspension Lift Kits: A more expensive and intricate option, suspension lift kits involve replacing everything from the shocks/struts to the drive shaft and steering components. Upgrading these components gives you more suspension articulation, more ground clearance, the ability to use larger tires, and a more capable off-road vehicle. Leveling Kits: The rear end of a truck naturally sits higher than the front end to compensate for heavy loads. A leveling kit raises the front end up a few inches to level out the truck. This gives a small amount of added ground clearance, but is mostly done for looks. A leveling kit allows you to maintain your truck’s payload capacity too. Ground Clearance: Gives you the additional space you need to conquer even the roughest of trails. Improved Towing: Raising the center of gravity on your truck makes it safer to haul heavier loads. Get a Better View: Give yourself a clearer view of the road allowing yourself quicker responses to obstacles. Clearing Obstacles: With a lifted truck you’ll be able to get over rocks or logs with ease. 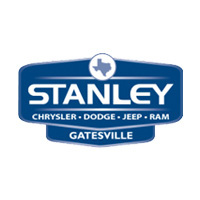 Visit Stanley Chrysler Dodge Jeep Ram Today! Let Stanley Chrysler Dodge Jeep Ram put you in the perfect truck today. Once it’s yours you can decide if you want to leave it as is or add a lift kit. Talk to our finance experts or contact us to schedule a test drive. 0 comment(s) so far on What is the Difference Between Lifted Trucks and Not Lifted?